Yad Vashem and Facebook Israel have joined together in a project to promote Holocaust commemoration on social media. The Holocaust Remembrance Project will honor victims of the Holocaust with two unique activities: "The IRemember Wall" created especially for International Holocaust Remembrance Day, and "Unto Each Person There is a Story" to be implemented this May. Yad Vashem's "IRemember Wall," being launched tomorrow, will allow Facebook users to share the identity of a Jewish victim from Yad Vashem's Central Database of Shoah Victims' Names. 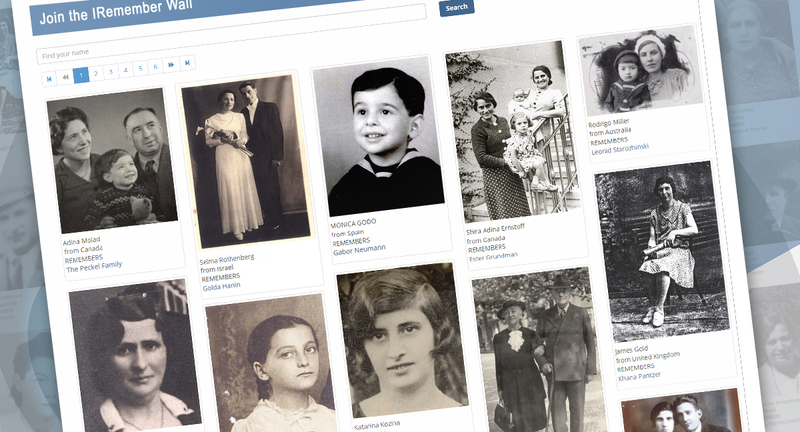 The Names Database will also be used to provide information for "Unto Each Person There is a Story," a new Facebook Story initiative to be launched for Israel's Holocaust Remembrance Day. Over the last 65 years, Yad Vashem, the World Holocaust Remembrance Center, has been dedicated to restoring the identities and honor the memories of the six million Jews murdered during the Holocaust. "Yad Vashem works tirelessly to ensure that the memory of the Holocaust is relevant and constant, while facing the challenge of its global dissemination," states Yad Vashem Chairman Avner Shalev. "Therefore, we maintain an active presence on social media, today's platforms for contemporary discourse. The new joint project with Facebook Israel will allow the broader public to connect with the names and stories of the Jews murdered during the Holocaust and enable those who wish to express their commitment to Holocaust Remembrance to do so in a simple and timely way." "As we commemorate International Holocaust Remembrance Day, we dedicate ourselves to turning personal memory into a collective one," says Adi Soffer Teeni, Facebook Israel Country Director. "Through the use of technology, we can each connect with the name and the story of one victim of the Shoah. As "ambassadors of memory," we have the responsibility to keep their memory alive and relevant for future generations to reflect upon and learn from. Our new cooperation with Yad Vashem will ensure just that." Running 24-29 January 2019 to mark International Holocaust Remembrance Day, "The IRemember Wall" provides a unique opportunity for the wider public to engage in an interactive commemorative activity. 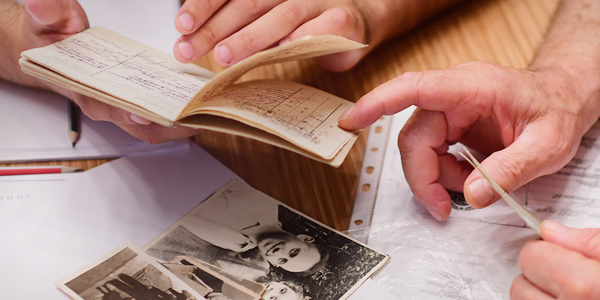 Participants will be randomly matched with one of the men, women or children recorded in Yad Vashem's Central Database of Shoah Victims' Names. To date, the Database commemorates some 4,800,000 names of Jews murdered during the Holocaust. The name of the participant, together with the name of the Holocaust victim they are matched with, will be added to Yad Vashem's virtual "IRemember Wall" and can then be shared on the participant's Facebook page. ■ "Unto Each Person There is a Story"
The second phase of the Holocaust Remembrance Project will be launched in May 2019 in time for Israel's national Holocaust Martyrs' and Heroes' Remembrance Day. "Unto Each Person There is a Story" is a new initiative consisting of dedicated "Facebook Stories" drawn from the millions of victims recorded in Yad Vashem's Central Database of Shoah Victims' Names. The stories of Holocaust victims may then in turn be shared with the world via Facebook.